Exciting news! 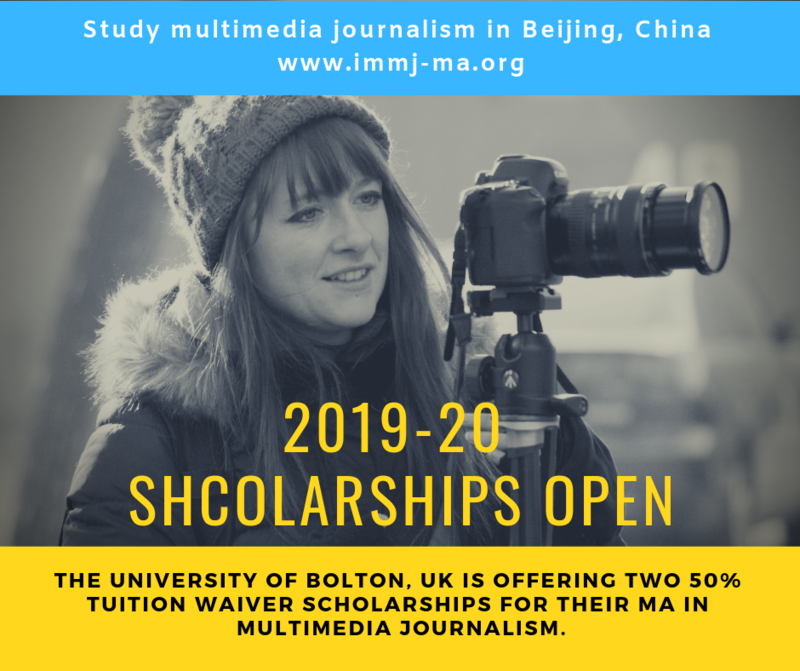 The University of Bolton is delighted to offer two 50% Tuition Waiver Scholarships for the full-time MA in International Multimedia Journalism for the 2019/20 academic year. The programme develops practical skills and critical thinking for journalists and storytellers to deliver both short-form and long-form journalism on digital platforms. The course is based in Beijing and is a collaboration between the Beijing Foreign Studies University and the University of Bolton in the UK, with the degree awarded by the University of Bolton. HOW TO APPLY: Download and complete the application form here: Scholarship 2019-20 Application form.pdf Email your completed application form to programme leader Sharron Lovell (S.lovell@bolton.ac.uk and sharron.lovell@gmail.com) by the deadline 10th May 2019. ELIGIBILITY: To be eligible for the scholarship, applicants must meet the criteria for standard entrance requirements. A strong portfolio and commitment to the area of study are often of greater value than educational background. If you do not have relevant education qualifications but you do have significant experience in the field of journalism or communications, and you are able to present a strong portfolio as part of your application, you will be a strong candidate. Chinese citizens are not eligible for the scholarship. *Please note all other costs including accommodation, visas, living expenses and flights to and from Beijing, plus equipment is not included in the scholarship and must be covered by students. Students must have their own basic equipment set-up on starting the course. This can be purchased for around £1,000 pounds. 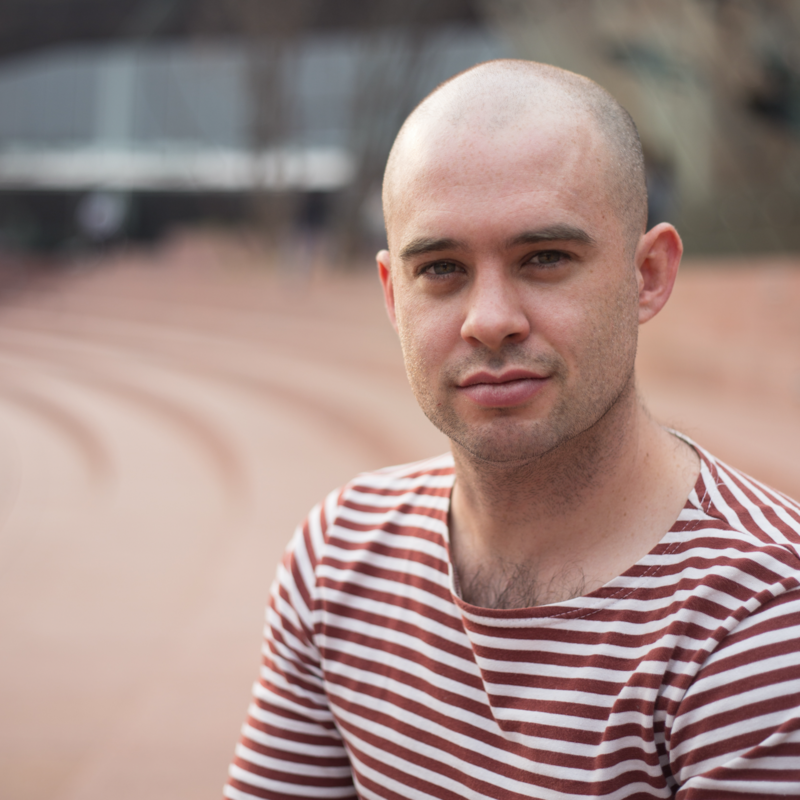 Meet our previous scholarship recipients, Andrea is currently working for Getty images and Nathan is building a successful freelance career as a visual journalist. “I am incredibly happy to have been a scholarship recipient. 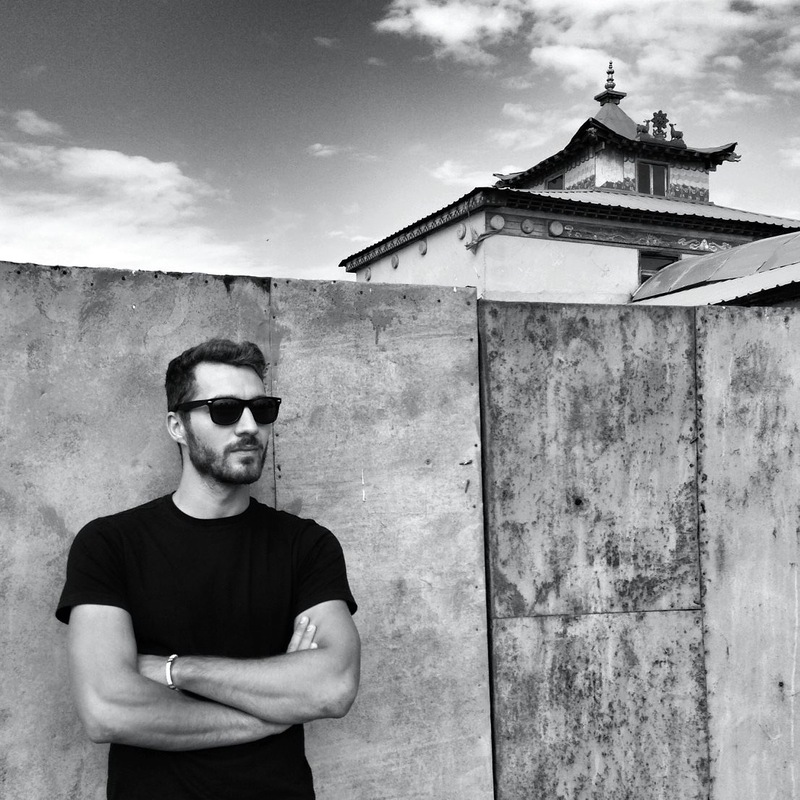 It has allowed me to me to take a route that would not otherwise have been financially accessible, and moving to China and studying on the course has enabled me to develop my career as a visual journalist. The experience provided the academic framework, practical skills and freedom to create real-world, in-depth and meaningful projects, whilst living and working in a dynamic, fascinating and complex country. I have been able to develop and work on issues important to me, with a focus on disability, community, identity, and ethnicity.” – Nathan Gibson, UK. Want a taster of what our students do? Take a look at our showreel compilation of final projects produced by students of the MA in International Multimedia Journalism.